Above: Aerial view showing most of the development area. To the north it follows the line of the Bayswater Brook, surrouning the existing the electricity substation in the middle. 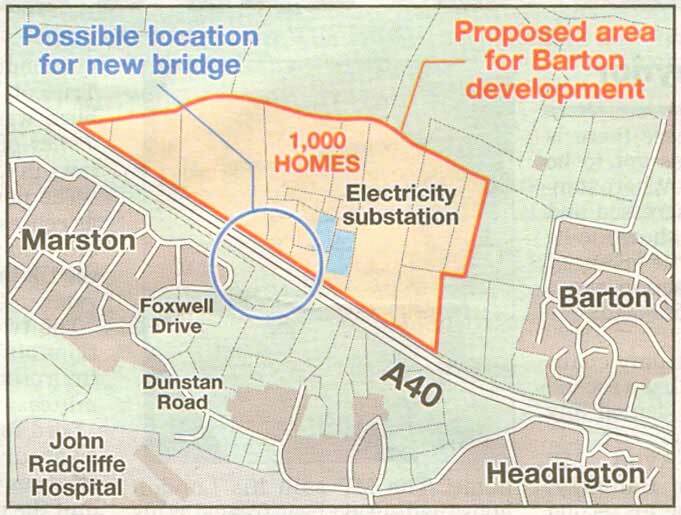 Barton Park is being built around the electricity sub-station in the middle of this photograph. This land at Foxwell Drive was the subject of Oxfordshire County Council's Town Green public inquiry in September & October 2014, but in December 2014 the Planning Inspector dismissed the attempt to turn it into a Town Green. (June): Oxfordshire County Council allowed the application for Town Green status by campaigners in Northway (with reference to the planned bus/bicycle/pedestrian route from Northway to Barton) to go ahead. (d) buried services and utilities, foul and surface water drainage, water channels, ponds, sustainable urban drainage systems and underground storage tanks. 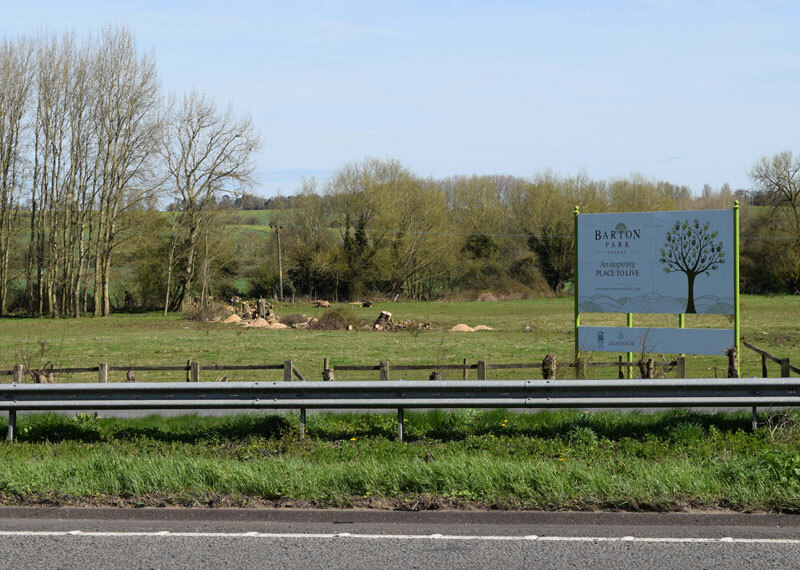 22 December 2014: "Town green bid is thrown out"
In 2013, South Oxfordshire District Council earmarked the Bayswater Farm site for development to the north-east of Barton, stating that this 2.2 hectare site could fit in up to 75 homes. “Demolition of existing pair of semi-detached houses (39 and 41 Waynflete Road). Erection of 52 houses and flats (including 40% of net increase as affordable homes) in single-storey buildings, two-storey buildings, and two-storey buildings with rooms in roofs (47 dwellings proposed off Waynflete Road and 5 detached dwellings off Bayswater Farm Road). Construction of roads and footpaths including new accesses off Waynflete Road and Bayswater Farm Road. Provision of open space, parking, garages and landscaping. NB Demolition of existing houses, estate road and only part of new build in Oxford City District”. 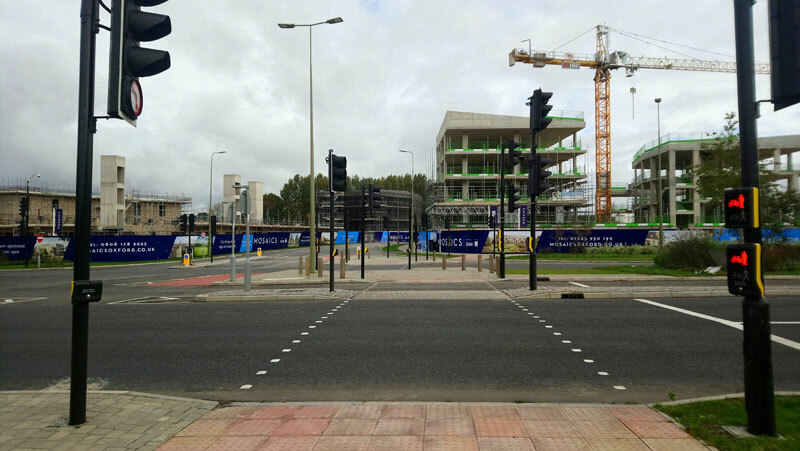 The preliminary construction management plan for this new development, submitted by Cala Management Ltd in 2016, was approved in December 2016. Cala Homes marketed the new homes at prices ranging from £300,950 to £715,950.